The challenge in trying to "sufficiently" establish baseline ground-water quality relative to hydraulic fracturing is that, because a variety of chemicals are used in the industry, a complete analysis would be very expensive. The chemicals used depend on such factors as whether the fracturing was for oil or gas, the particular formation, and the company conducting the fracturing. For example, differences could exist between the types of chemicals used in hydraulic fracturing for oil and gas in sandstones and carbonate rocks versus gas in shale. The web site www.energyfromshale.org has a fracking fluids page with a summary of some of the different types of fluids used. The summary diagram available on that page in October 2011 is shown below. 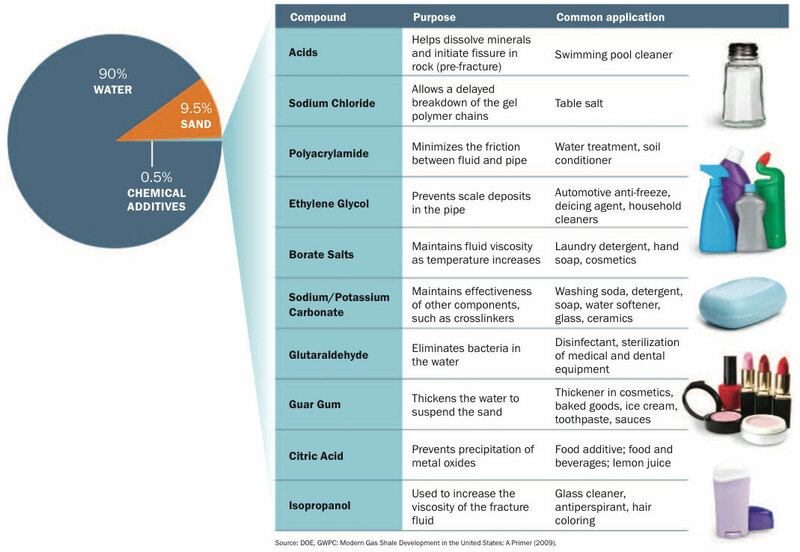 Table 1 in the report lists the most commonly used compounds in hydraulic fracturing fluids. The report states "The oil and gas service companies used hydraulic fracturing products containing 29 chemicals that are (1) known or possible human carcinogens, (2) regulated under the Safe Drinking Water Act for their risks to human health, or (3) listed as hazardous air pollutants under the Clean Air Act. These 29 chemicals were components of 652 different products used in hydraulic fracturing." Table 3 lists these chemicals and their frequency of use. If an individual wishes to have some basic, affordable, inorganic analysis made of ground water, they could contact a company certified by the Kansas Department of Health and Environment, for example, Servi-Tech Laboratories in Dodge City; see the following web links for a more complete Kansas list. The basic inorganic analysis (pH, specific conductance, and calcium, magnesium, sodium, alkalinity or bicarbonate, chloride, sulfate, nitrate, and fluoride concentrations) would at least establish the general chemistry of the water. This would allow later determination if any oil or gas brine from waste at the surface or through a poorly plugged old oil or gas well nearby that was affected by the fracking process allowed brine to enter the ground water. The other fracking chemicals are organic and much more expensive to determine. In general, the organic chemicals are not ones that a landowner would use, but some are, such as ethylene glycol (used in antifreeze), methanol (in some types of antifreeze and windshield washer fluid, and in denatured ethanol), isopropanol (in some glass cleaners and fuel additives). If the landowner wanted to expend extra funds on some organic analysis, then an analysis of the water for methanol, isopropanol, and ethylene glycol would probably be appropriate because a higher probability exists that some of these might be in the fracking fluid. This would establish whether their water had concentrations below detection limits or, if some were detected, then perhaps their well has been impacted by their own septic wastewater or by leaks from vehicles or wastes disposed around their home (such as antifreeze). Other chemicals that can be associated with oil and gas operations include BTEX compounds (benzene, toluene, ethylbenzene and xylenes, and sometimes napthalene). These are some of the volatile organic compounds commonly cited in contamination from petroleum drilling and storage sites. If a land owner is being approached to lease their land, a baseline laboratory analysis paid by the oil/gas company could be negotiated as part of the leasing agreement. This is not costly compared to the total leasing agreement and drilling, and it could protect both the property owner and the company. In this case, a third party could collect and submit a water sample to an independent certified laboratory and both the oil/gas company and landowner should receive the results.